City of Plymouth stars Oscar Piper and Nyla Evely did not disappoint with their performances at the British Trampolining, Tumbling and DMT Championships over the weekend. 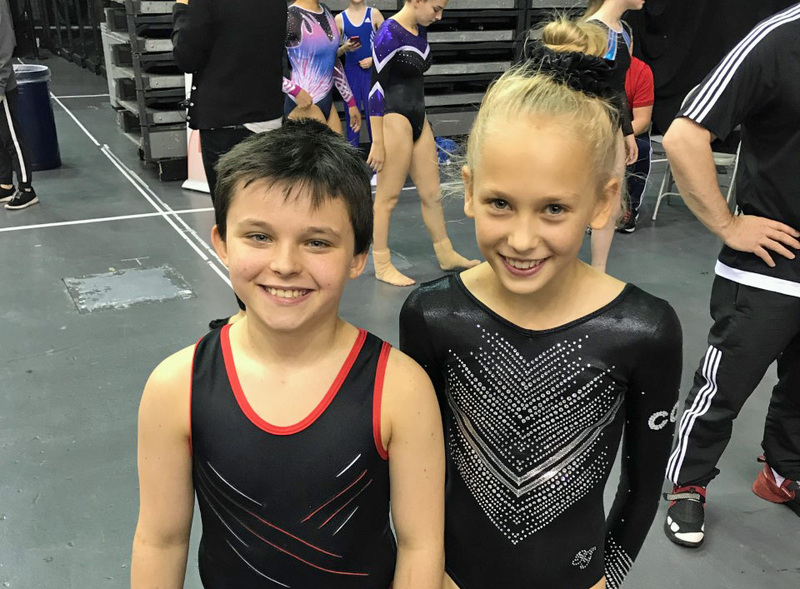 The 11-year-old pair showed their versatility and elegance to impress in the finals of their age group at the Birmingham Arena on Sunday. 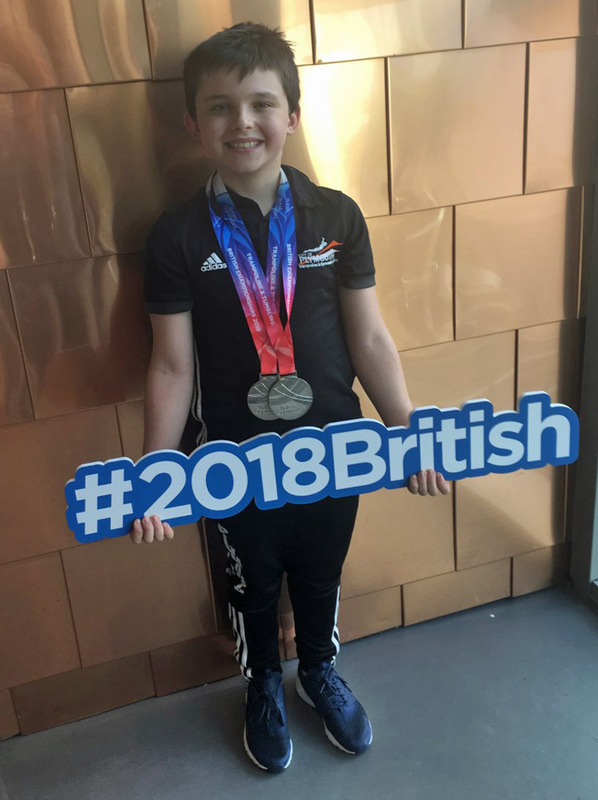 In the boys’ 11-12 age group, Piper claimed silver medals in both the DMT and trampolining events, finishing just 0.1 point short of the national title in the double mini discipline behind his good friend Kieron Harrison. He said: “The competition was amazing, the atmosphere was electric. I love it when there are so many people watching. “Kieron and I have battled it out all season for first and second place. I can’t believe I was so close to winning the title – just 0.1 of a point. I was disappointed but I know I did my absolute best. My score would have won the title in the age group above. Millbrook’s Evely was competing in the girls’ 11-12 age group for the first time and she exceeded her expectations by finishing fourth in trampolining and fifth in DMT, achieving scores needed for consideration for the World Championships in November. She said: “The competition was really exciting, but it was still nerve racking. Yes, I am happy with my final rankings but I know there are improvements I can make for next year. 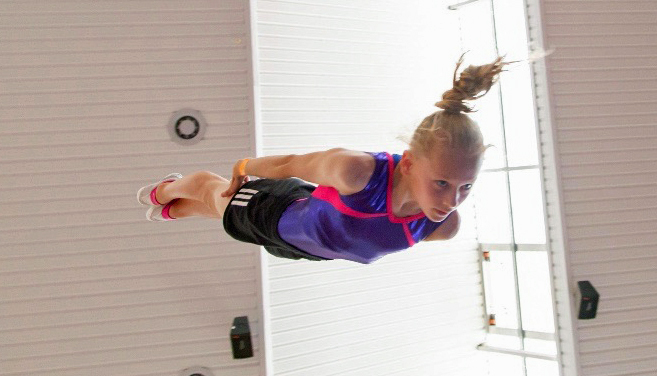 Next up for both City of Plymouth Trampoline and Gymnastics Club youngsters is the Loule Cup in Portugal next month, a competition where Evely will be making her Great Britain debut. City of Plymouth were one of 11 clubs that participated at the British Championships over the weekend – an event that saw more than 500 gymnastics compete. The next major British Gymnastics event is the Gymnastics World Cup in Birmingham on Saturday, March 23, 2019 where the best nations in the world will take part. More information on that can be found at http://www.gymnasticsworldcup.co.uk.